Spacious rooms with Asian flair, centrally located in a top cultural destination. This Flushing, New York hotel is 3 miles from the LaGuardia Airport and offers free shuttle services. A gym and on-site restaurant and bar are also featured at the hotel. 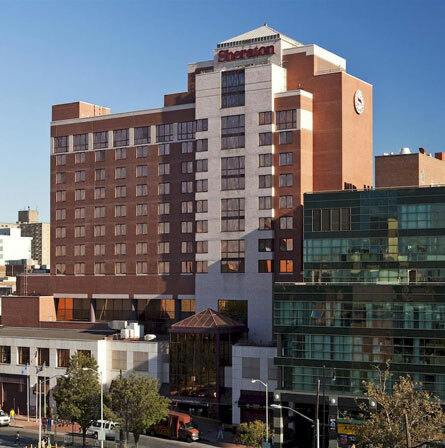 Guest rooms at the Laguardia East Sheraton Hotel are spacious and furnished with a lounge chair and a large work desk. Cable TV with in-room movies, free Wi-Fi, and room service are also provided. Sheraton Lagaurdia East Hotel offers a fully equipped fitness centre and 24-hour business center. The tour desk can help guests explore the area. Deluge Restaurant offers all day dining and features international cuisine. Flushing-Main Street Subway stop is one block from the hotel. 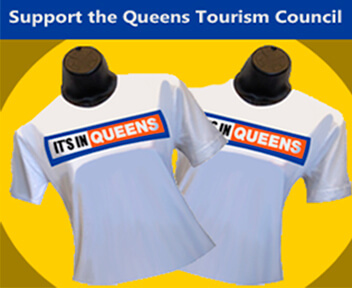 Citi Field and Arthur Ashe Tennis Stadium are both within a 5-minute subway ride away. The Louis Armstrong House Museum is 10 minutes from the hotel and the Aqueduct Racetrack is a 12-minute drive away.